In a room full of portraits, I look at empty frames. This is the War Gallery of 1812 in the Winter Palace, now part of the Hermitage Museum in Sankt-Peterburg. 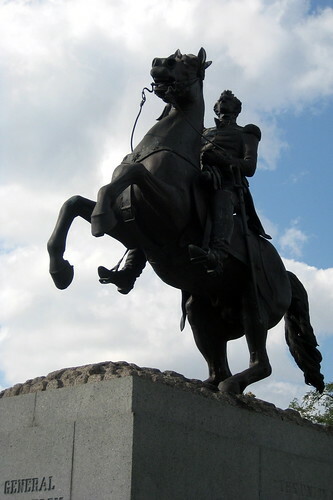 Alexander I commissioned portraits of some three hundred military heroes who achieved the rank of general in the Patriotic War of 1812 against Napoleon. English artist George Dawe, with a couple of Russian assistants, completed portraits of all but thirteen, who (I have been told) died before any likeness of them had been preserved. For each of the thirteen faceless generals hangs a canvas covered with green silk, framed, and bearing the general’s name. The whole of Russia knew the names of those whose portraits were placed in the War Gallery of 1812. One could write a heroic ode to each of them. So says the Hermitage website. Now, if you’ve ever gone to a Russian museum, you know that a Russian babushka (an old–frequently, very old–woman) militantly guards each exhibit. I dare you to put your dirty boots on that velvet-covered bench. Or sneak a picture with a flash. Ha! Or forget to check your coat at the garderob, god forbid. That is nekul’turno. And babushkas will tell you about it. Forcefully. The whole of Russia knows that they are in charge. I swear, one could write a heroic ode to each of them. More than twenty years have passed since my first visit to the Hermitage, and the babushka brigade is unchanged. Still wrinkled, stern, frumpy, and often barrel-shaped. Except that the brigade has totally changed. My Hermitage babushkas have long since retired; most, I suspect, are dead. They were the Greatest Generation of babushkas. Forget the Patriotic War of 1812, our 1980s babushkas had lived through the Great Patriotic War, the one we call (prosaically and impersonally) World War II. They had survived the blockade of their city. 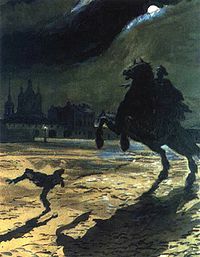 For nearly three years, Leningrad was under siege. No public transportation. Often, no heat, no water, no electricity. Mass starvation. Rumors of cannibalism. Countless deaths. I’m sorry to say that the babushka pictured above is more recent, part of a terrific photography project called The Guardians of Russian Art Museums. I love what the photographer has done. But, he was too late to capture the likenesses of the women I try to remember. My daughter’s singing teacher at the Moscow Art Theatre Studio is about my age. I shouldn’t be surprised by our shared musical tastes. I am invited to observe class on a November morning, still a little jet-lagged from yesterday’s more-than-trans-Atlantic flight. I listen to my Anna sing a Turgenev poem called On the Road, set to music, and now more widely known as Misty Morning. A classic. One of those Russian romances about the inescapable, irretrievable past. the beloved strains of a quiet voice. gazing, lost in thought, at the broad sky. I know that Anna came to Moscow to study acting. She knows that I sent her to Moscow to learn Russian. So, after class, we put on our coats, scarves and mittens, and head up Tverskaya (in my day called Gorkovskaya) Street, taking the words of the song apart: why the instrumental case in this phrase, the proper pronunciation of that unstressed o, and, finally, a bit about how (I think) this simple poem works. Turgenev, the poet, is remembering his past: faces, glances, words. But all of the verbs are in the second person. And (though this is lost in the translation), in Russian, the verbs are all in the future tense. Whose past are we talking about here? This will happen to you, too. And, notice that by the end of the poem, the past and present have intertwined: Did you smile strangely at the time of parting or do you smile strangely now recalling it? That’s the way it feels to be back there and here at the same time. Endless cars rush by us on Tverskaya/Gorkovskaya, as always. We talk over the din. The foot traffic is pretty scary, too. Walking here demands your full attention. Eyes straight ahead, no gazing at the sky. 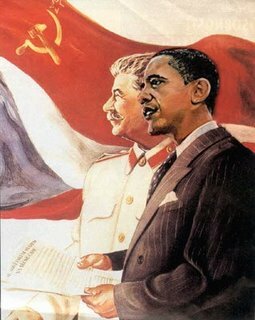 Obama’s economic policies will transform us into a Latter-Day Soviet Union. Hammer and sickle squeeze out stars and stripes. Uncle Joe (Biden?) lurks in the background. The prospect horrifies, even though more and more of us have no memory of the Soviet Union. Still, we are afraid of an amorphous red menace. But, there was more to Soviet Russia than lousy universal health care. There was also a lousy official culture. That culture began with an unswerving devotion to the mythology of the origin of the state. This image produces discomfort; the discomfort is my Russian immigrant husband’s birthright and I have perversely adopted it. When we moved, sight unseen, to Salt Lake City in the mid-1990s, we were greeted by a strangely familiar Brigham Young, no less solid and no less inevitable than Vladimir Ilyich. He, too, towers above us, arm outstretched. Perhaps, after all, this is the place. 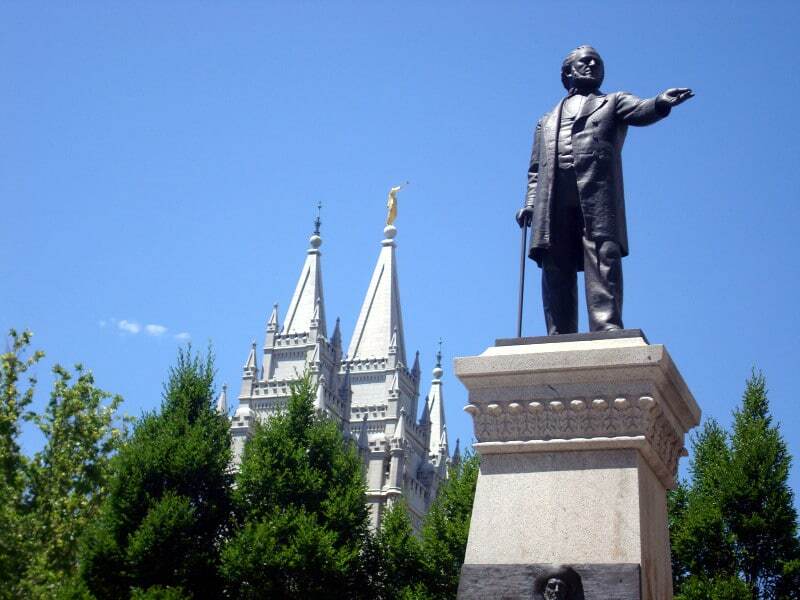 Did you notice, a local whispers to us, that Brigham Young stands with his back to the Mormon Temple and he gestures toward the bank. Wink. Now we feel comfortable. There is a dissident movement here, too, and we, before even uttering the password, have been inducted into it. Next stop, the liquor store for more fringe camaraderie. During our seven years in Utah, we encountered, for the first time, that “if you’re not behind us, get in front of us” variety of American patriotism that we had previously thought was peculiar to the Soviet Union. No room for equivocation; no room for discussion. There is a right way and a wrong way, in religion and in politics. I hasten to add that I admire and feel affection for many aspects of Mormon life, as I got to know it while I lived in Utah. At home, we joked that it was like living in a foreign country without the benefit of a language barrier; but that was friendly kidding. Still, those years in Zion were our first inkling that the danger of cultural Sovietization of America may come not from the left, but from the religious right. I do not believe that butterfly-chasing, literary superstar Vladimir Nabokov worried much about what people thought of him. The following passage is not for the general reader, but the particular idiot who, because he has lost a fortune in some crash, thinks he understands me. The general reader may now resume. I love this passage for my own selfish purposes also. For years I have tried to imagine how I might reserve for myself the right to yearn after my own particular ecological (and temporal) niche in Russia: a dilapidated student dorm in Leningrad just before Perestroika. It’s unseemly to love those last crumbling, corrupt years of Soviet rule. Unseemly because we, American students, were just visitors, not permanent inmates. Unseemly because Americans were in deficit (to put it in Soviet terms), and we enjoyed a wholly unjustified popularity everywhere we went. We had the right jeans, the right backpacks, sturdy (and stylish!) boots and coats. With western currency in our pockets, we were like billionaires. We had access to everything, and Russians wanted access to us. Getting a date was a cinch. You didn’t have to be particularly pretty, particularly witty, particularly smart, particularly anything. But those are just the banknotes. You must not confuse me with those Westerners who returned again and again to Soviet Russia to bask in that sort of easy attention. My contempt for them is complete. My old (since 1991) regret at the opening up of Russia is unrelated to any question of property. I regret the loss of a wretched, shabby, peculiar moment that happened to be mine. 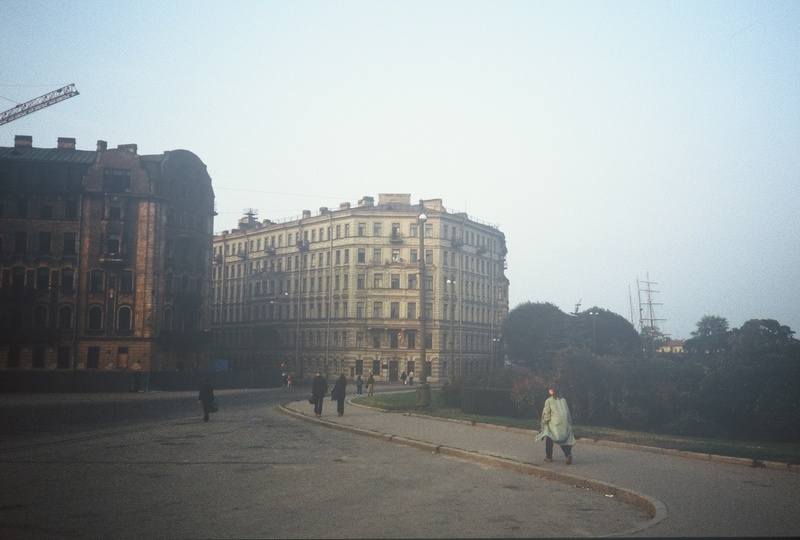 The nostalgia I have been cherishing all these years for Leningrad in 1983 is a hypertrophied sense of lost youth, not sorrow for lost banknotes.